Something Epic is Coming... BellaNaijaStyle.com is On its Way! Something Epic is Coming… BellaNaijaStyle.com is On its Way! Following over a decade of consistently celebrating our style and indigenous craftsmanship with notable recognition such as the award for Fashion Blog of the Year at the Glitz Style Awards recently, and in the past, the award for Outstanding Contribution to Fashion at the prestigious African Fashion Week, BellaNaija Style is evolving by extending its footprint with the launch of www.bellanaijastyle.com. These are exciting times in African fashion, the term “Africa Rising” permeates – and it is important that we fully, consciously and deliberately take ownership of the African narrative and define Africa for ourselves by reclaiming our truth and sharing our authentic stories to the world, told by Africans. This inspired the birth of BellaNaijaStyle.com. A platform dedicated to sharing stories that uplift and empower the African continent in an effort to reclaim our narrative. 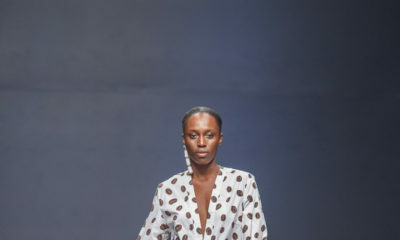 BellaNaijaStyle.com goes behind-the-scenes and offers a 360-degree view of the African Fashion Industry, bringing to the fore the industry’s promise, its capabilities and its realities. We are here to tell positive stories of the industry’s ongoing reform and successes, and to celebrate the hard work and commitment of the artisans, the variety of creatives within the industry, and the individuals and institutions that continue to steadfastly champion the industry’s cause, spearheading initiatives that catalyze growth and development. BellaNaijaStyle.com is also here for you, who want to know about the latest trends, the exciting designers to look out for, who desire to be visually stimulated by campaigns showcasing vivid colours, patterns or constructive clean lines in solid hues with the mindfulness that diversity exists – in our style as well as in our audience. We are here for the fashion enthusiasts, the creatives navigating the terrain to build successful careers, and the voyeurs. 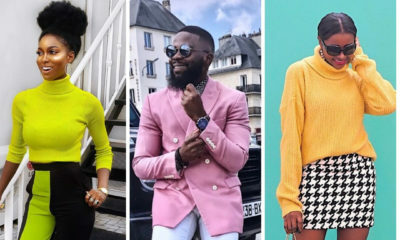 We provide an insider’s guide to African Fashion, sharing fun, fresh, educative and informative content that we hope will positively influence perceptions of the continent. We are excited about this new chapter! Following over a decade of consistently celebrating our style and indigenous craftsmanship with notable recognition such as the award for Fashion Blog of the Year at the Glitz Style Awards recently, and in the past, the award for Outstanding Contribution to Fashion at the prestigious African Fashion Week, BellaNaija Style is evolving by extending its footprint with the launch of www.bellanaijastyle.com ? . 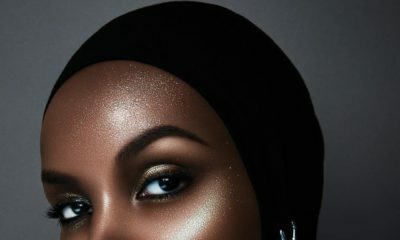 These are exciting times in African fashion, the term “Africa Rising” permeates – and it is important that we fully, consciously and deliberately take ownership of the African narrative and define Africa for ourselves by reclaiming our truth and sharing our authentic stories to the world, told by Africans. This inspired the birth of BellaNaijaStyle.com. A platform dedicated to sharing stories that uplift and empower the African continent in an effort to re-claim our narrative. . We are here for the fashion enthusiasts, the creatives navigating the terrain to build successful careers, and the voyeurs. . We provide an insider’s guide to African Fashion, sharing fun, fresh, educative and informative content that we hope will positively influence perceptions of the continent. . We are excited for this new chapter! . www.bellanaijastyle.com . Coming soon. ? Follow @bellanaijastyle for more updates! Mimi Onalaja marks Birthday with Sizzling Hot Photoshoot! Stylevitae better watch out. Let’s show them how it’s done. Congrats!